Raise your hand if today is your birthday. You, too?! Happy birthday, birthday friend! Today means 28 for me. 28 on the dot, dot com. I feel like this year is going to be a good one. It started out with breakfast: a healthy sprouted almond drink and a not-so-healthy bowl of balsamic French prune crisp. See how balanced 28 is already? I am on it this year. Okay, 28. Here’s to a year filled with love, friends, food, sisters, cousins, writing, being outside, learning to be less afraid of sharks, shamelessly still listening to N*SYNC, and wearing heels with confidence. And putting some balsamic in a fruit crisp. I like the subtle tang and sweetness the balsamic brings to this crisp. You can make it with any stone fruit — I happened to see some French prune beauties at the market recently, but I’m sure it would be divine with peaches, nectarines or plums. Remove the pits from the prunes and nectarines, then cut them into 1-inch chunks (it’s fine to leave the skins on – I did). Place the fruit into a medium-sized bowl, then add the lemon zest and juice, cornstarch, balsamic and sugar. Stir gently to coat the fruit. In another medium bowl, work the butter into the flour using your fingertips, rubbing quickly to incorporate, until the butter pieces are the size of peas. Mix in the salt, sugar, and rolled oats. 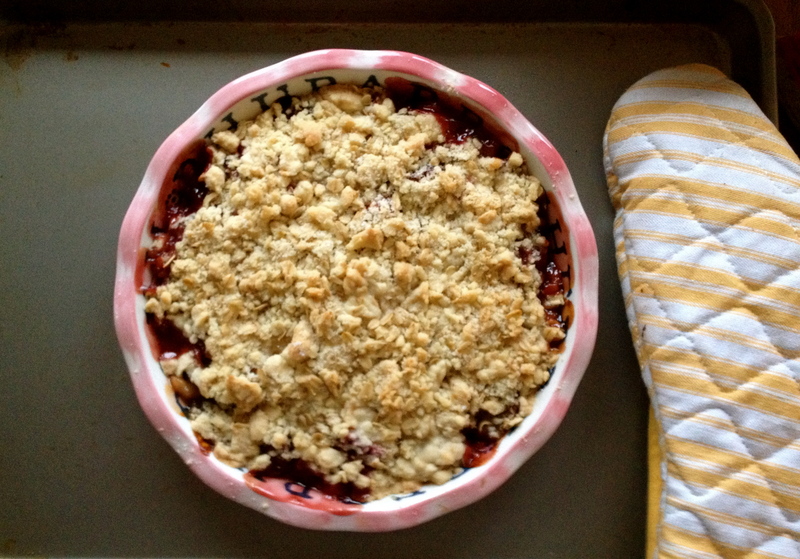 Transfer the fruit mixture to an 8- or 9-inch pie dish or baking pan, then scatter the crisp mixture atop, clumping it together in parts, so the final product has an even mixture of clumpy and sandy crisp bits. Bake the crisp for 45 – 60 minutes, until the fruit is good and bubbly and the topping is golden brown. 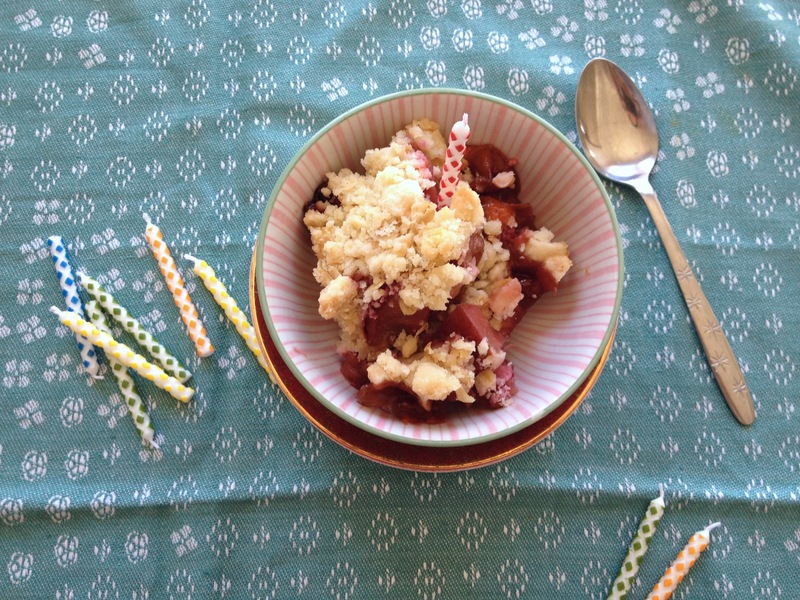 Enjoy warm (with some ice cream, obviously) or at room temperature. Cooled and wrapped tightly in plastic or foil, crisp will keep about 5 days in the refrigerator (re-heat for 15 minutes in a 300 degree oven, if necessary). happy birthday! but what is the difference between prunes and plums? db to be, great question. 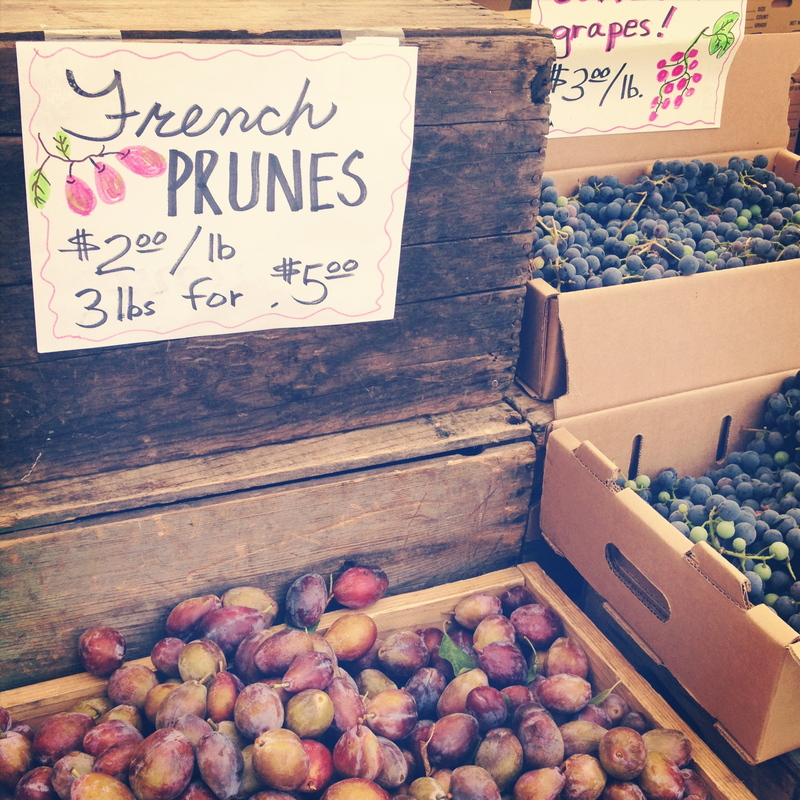 I researched it on the interwebs, and it turns out that all prunes are plums, but not all plums are prunes! I guess prunes are just one variety of plum, a variety that happens to be particularly suited to drying (and, as we’ve discovered, crisps with balsamic). Happy birthday! 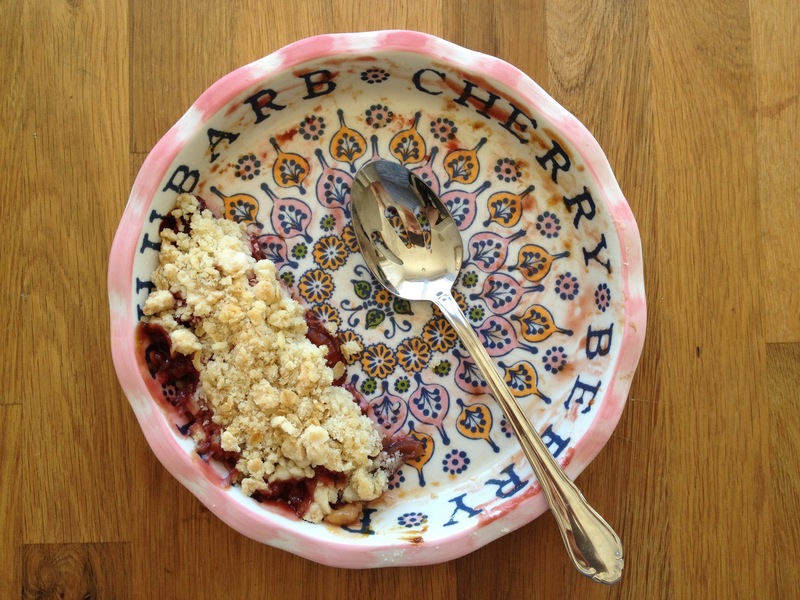 That rhubarb-cherry plate is so pretty, btw. Happy belated birthday! I totally listened to NSYNC on the way to the cottage this past weekend. We are totally so cool. P.S- Prunes and Balsamic? I’m in. Thanks, Mara! Also, God must have spent a little more time on you. I just added this blog site to my google reader, excellent stuff. I am finding resources for my Heating and Cooling blog . Thank you very much! I will create a link to your weblog if I use your article.